Paolo Montana and Adriana Moretti are the most gracious hosts delivering Scottish and Italian flair to Union Square/Madison Square Park. 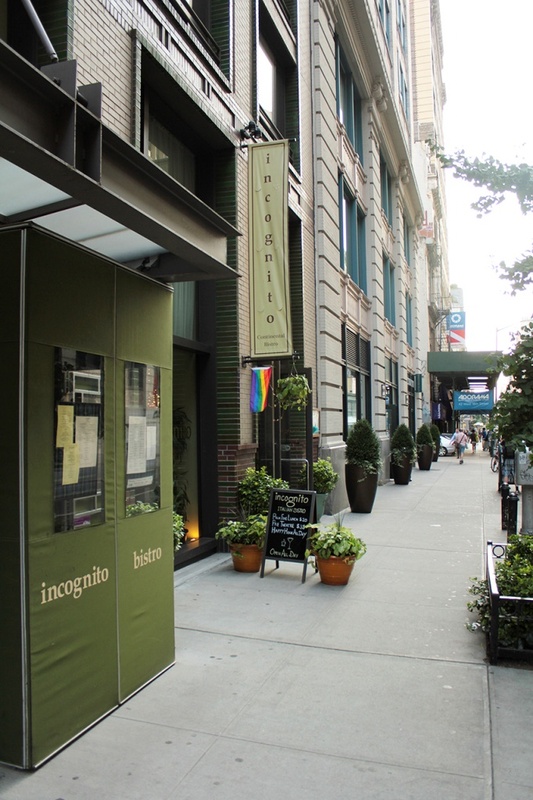 I had walked by Incognito many of times as I used to work on 18th and 5th. I always looked in but never had a chance to sit down. There are so many restaurants in this city that you may never be find the best ones by just listening to the restaurant newsmagazines. Sometimes, you just have to dip into a place and check it out! I’d been invited to take part in these blogger dinners and was excited about taking part in them until I went to the first one. Restaurant lighting never was designed to make food look good, it was designed to make your dining companion look good. Unfortunately, this is reflected in the shots on most food writers’ sites. Weird shadows, a lot of flashes… food doesn’t end up looking very appetizing. I like to get there when there’s great light and shoot the food the way it really looks. I think you’re doing a disservice to a restaurant if you get plates as beautiful as these and don’t take care in the photography. I know I’m not the best, but I’m getting better with each shoot. With that, let’s see some food! Eggplant caponata, roasted fennel, sweet corn, butternut squash, and caramelized onions. I must say, the roasted fennel was almost my favorite thing I tasted today. Paolo told me it was simply fennel, salt, pepper, and olive oil, and it was heaven. It’s the simple things. The center of this mozzarella literally melted under my fork. It was so creamy! There was a lemon vinaigrette over the prosciutto. 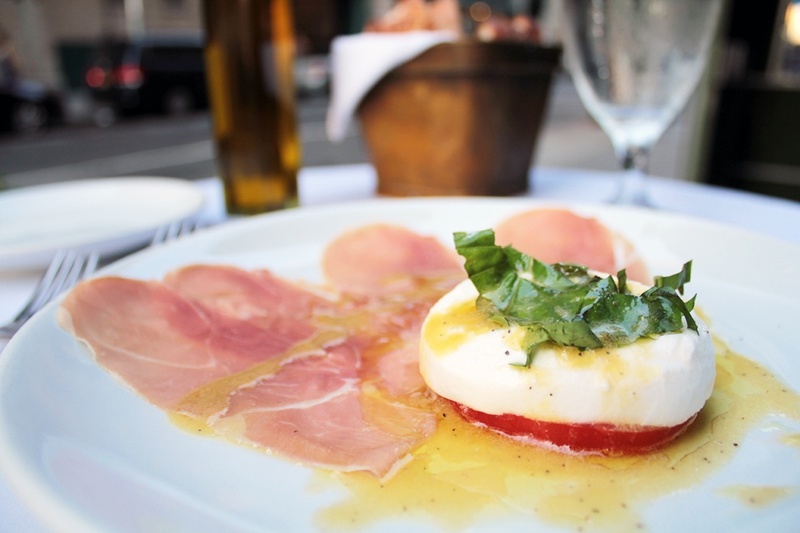 Of course, when you think of a Caprese, you don’t think of ham (you don’t necessarily think of lemon vinaigrette either), but they both worked. The mozzarella stole the show. It’s imported from Naples. Great sourcing on this one. Lamb sausage with turnips, creamed potatoes & whisky jus. This was my first haggis experience and I have to say it was very pleasurable. 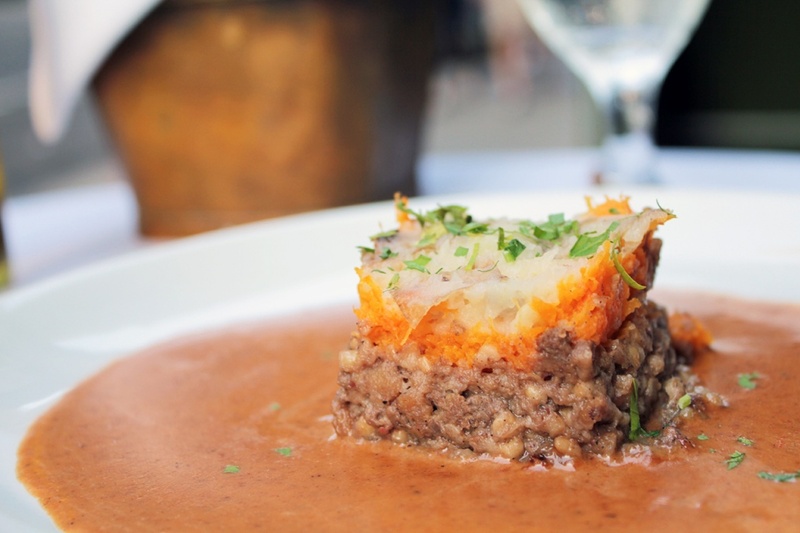 Don’t be afraid of the word “Haggis!” You’re not afraid of the word sausage, are you? It’s made out of the same stuff (except this is from a sheep). My suggestion, try the haggis. That is, if you’re not a huge lasagna fan. A few years ago I went to have the lasagna at Eataly because they told me it was the same as the stuff at Babbo. 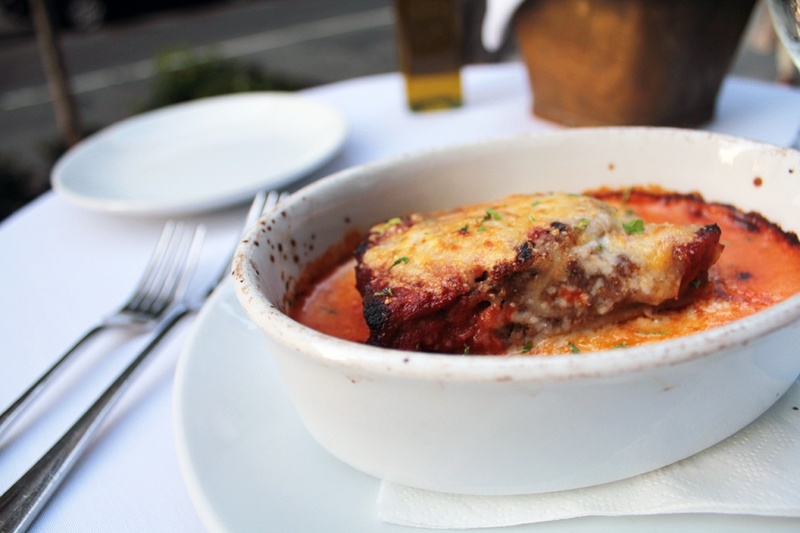 I was really excited about lasagna at Babbo because I’ve heard so many great things about it. Either I didn’t get the same lasagna they were talking about, the quality controls hadn’t been put in place to make sure the lasagna was up to par, or the lasagna at Babbo was not that great to begin with. I’m guessing #2, but regardless, this stuff (only five blocks from Eataly) was much better. 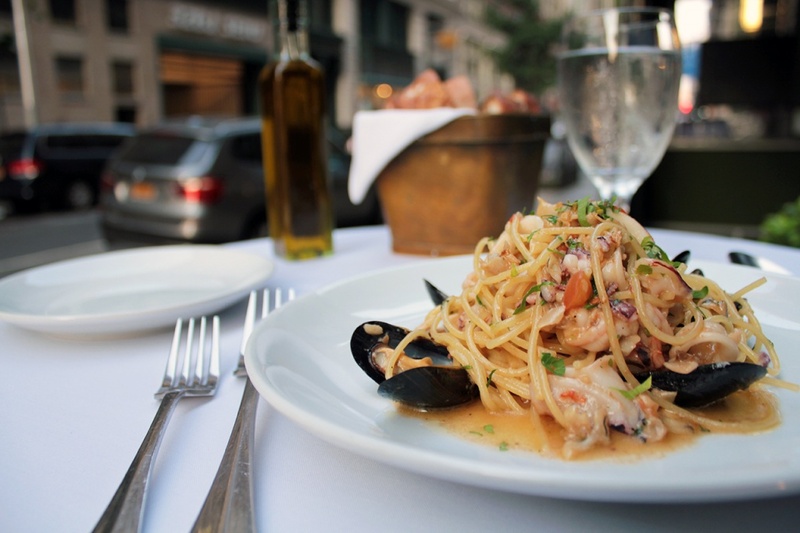 Spaghetti with shrimp, mussels, clams, calamari, roasted tomatoes, garlic, and olive oil. Look at this deliciousness. Apparently Allo Scoglio means something like “Reef Spaghetti.” I like these Italians and their nomenclature. “Hey Enzo, what’s that sauce that the whores make? What’s that called, I forget the name of it?” So simple. I don’t know what the difference between this and Frutti di Mare is – more tomatoes in the FdM maybe? Anyways, if you like seafood, this is a great choice. The chocolate torte came with this amazing salted butterscotch, some berries, a little bit of whipped creamy/vanilla puddingy stuff and you could dip the chocolate torte in any one of these items to give yourself four dessert combinations one one plate. Awesome idea. 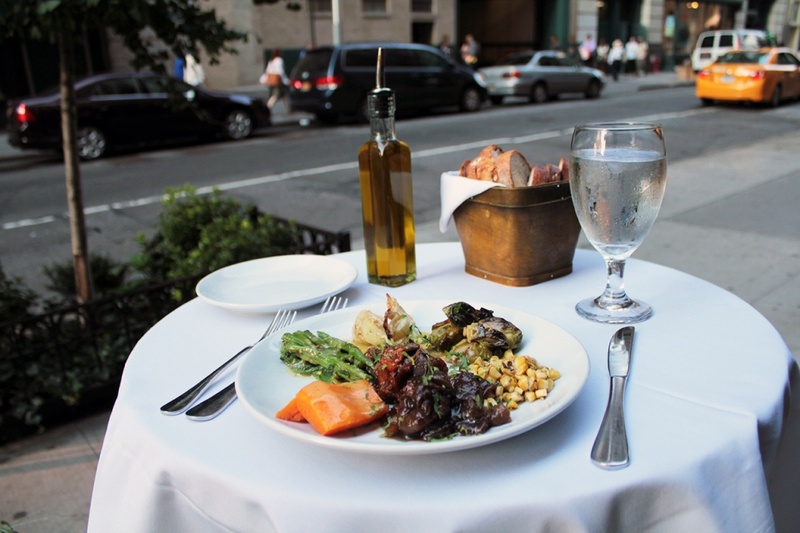 Please check out Incognito Bistro if you’re in the Madison Square park area – definitely worth a sit if you like hearty Italian or it’s been too long since you’ve had your favorite Scottish fare! 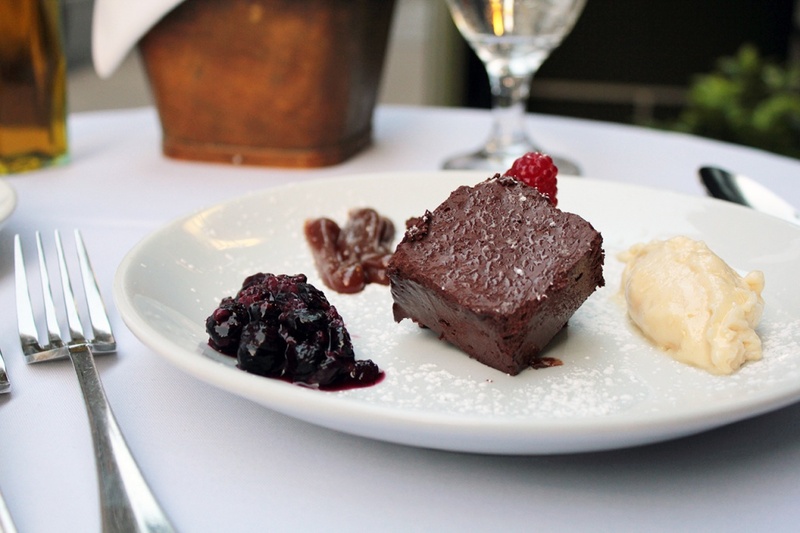 The food at Incognito Bistro was provided to the author by the owners.